Where are all the desserts gone to? Welcome to Wiki for Forgotten Irish Desserts » Where are all the desserts gone to? Where are traditional Irish desserts gone? Remember Apple and Custard, Bread and Butter Pudding, or even Jelly and Ice Cream? 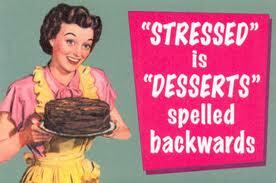 **Have you got recipes for Irish traditional homemade desserts? Please add them here. Click Edit at bottom of page. These delights used to form part of the staple of most Irish kitchen table diets. But nowadays they seem to be struck off the menu, fading into oblivion, forgotten about forever. 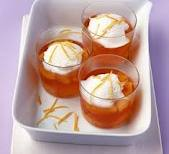 This site is dedicated to reviving the once much loved Irish dessert that 'Mammies' down through the generations dished out generous helpings to hungry sons and daughters alike. No dinner was complete without a bowl of jelly and ice cream, gooseberry crumble, custard and biscuits or bread pudding. The rise of the supermarket and the ever increasing availability of ready-made desserts, cakes and sweets, coupled with the fact that most households now have both parties gone out to work, are two of the main reasons why traditional Irish desserts are disappearing. This wiki would like to invite anyone who has a recipe that they feel should not be forgotten to add it here to share with all those who love the Irish dessert. Even if you do not have or know the full recipe, please just write down the name of the dessert. Grease an 8-inch springform pan. Cut wax paper to fit and line the bottom of the pan. Sift flour, salt, and ground cloves into a large bowl. Cut in the butter until the mixture has the consistency of fine crumbs. Peel, core, and slice the apples. Add the apples and sugar to the flour mixture. Stir in the eggs and enough milk to leave the dough stiff. Turn the dough into the prepared pan. Sprinkle with the remaining sugar. Bake 45 minutes until crisp and golden in color. HINT: The best thing about this Irish dessert recipe is that it is absolutely delicious served either warm or cold. If served warm, consider topping it with heavy cream. **Have you got recipes for Irish traditional homemade desserts? Generously butter an ovenproof dish. Remove the crusts from the bread and using the remaining butter butter, both sides, then cut each slice into quarters. Arrange a single layer of the bread triangles, slightly overlapping in the bottom of the buttered dish. Scatter over some of the raisins and a sprinkle of cinnamon and place another layer of the bread triangles on top and scatter over the remaining raisins and cinnamon. Press down gently. To make the custard, heat the cream and milk in a pan until it almost comes to the boil. Remove from the heat. Meanwhile, whisk together the egg yolks and sugar in a large heatproof bowl set over a pan of simmering water until thickened and the whisk leaves a trail in the mixture. Remove from the heat and beat in the cream mixture until well combined. Pour two-thirds of the custard over the layered-up bread triangles and leave to stand for about 30 minutes or until the bread has soaked up all of the custard. Preheat the oven to 180C/350F/Gas 4. Pour the remaining custard over the soaked bread and butter triangles and arrange the rest of the bread triangles on top. Press down firmly with a fish slice so that the custard comes halfway up the bread triangles. Bake for 30-35 minutes until the custard is just set and the top is golden brown. Bring the bread and butter pudding straight to the table and have separate jugs of the butterscotch sauce and custard to hand around so that everyone can help themselves. A favorite in all summer households, especially on a warm summers day!! Simple: as it suggests, simpley put some jelly in a bowl and lob in a blob of ice-cream. Delicious with cream too. 1.Put apples, juice and cinnamon (if used) in a saucepan. 2.Bring to the boil and simmer gently for about 5-10 minutes, stirring occasionally to ensure the apples do not stick to the bottom of the pan. 3.Cook until apples are soft. 4.Put all the milk except 2 tbsp into a saucepan and bring to simmering point. 5.Meanwhile add the custard powder and sugar into the reserved milk. Mix to a smooth paste. 6.Pour the milk into the custard paste and mix well. Pour back into the saucepan and bring to the boil, stirring continuously. 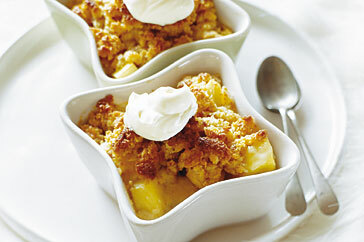 7.Mix the stewed apples into the custard and serve. In small mixing bowl combine dessert mix and instant coffee, add milk beat at high for 1 minute. Blend in 1/3 cup water and Irish whiskey, beat at high speed until fluffy (approx. 2 minutes more). Whip cream, and carefully fold into prepared filling. Pile into baked shell and chill for 3 to 4 hours. Butter and line a 9-inch cake pan with wax paper. Place the butter sugar and the Guinness in a pan and bring slowly to the boil stirring all the time until the sugar and butter have melted. Mix in the dried fruit and peel and bring mixture back to the boil. Simmer for 5 minutes. Remove from heat and leave until cold. Sift flour spices and baking soda into a large mixing bowl, stir in cooled fruit mixture and beaten eggs turn into cake pan and bake in center of preheated 325 degrees oven for 2 hours. Test with a skewer. When done cool in pan before turning out. Thanks to everyone who has contribiuted!